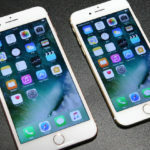 Previously, Apple has shown interest in expanding the Apple Watch’s digital crown to other iOS devices such as the iPad, using it as a volume controller or locking the touch screen. 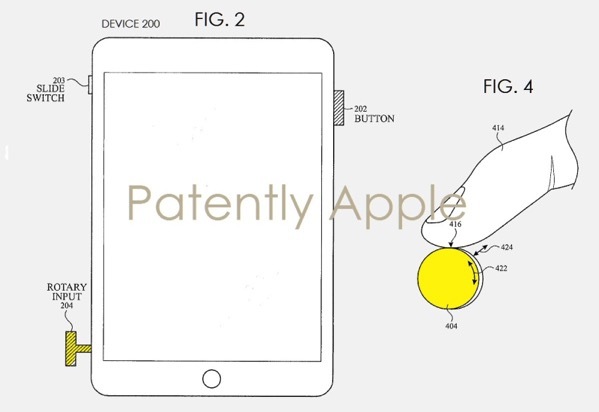 Today, a new Apple patent application published by the US Patent and Trademark Office (USPTO) reveals company’s plans to bring haptics to the Digital Crown to enhance the user’s experience (via Patently Apple). As you can see in the figure above, Apple has illustrated an exemplary rotary input that can rotate in a rotational direction as well as be displaced in a direction orthogonal to the rotational direction. The filing notes that some electronic devices may include mechanical inputs, such as buttons and switches, which can control power and volume for the electronic devices, among other functions. However, these mechanical inputs sometimes fail to give a user tactile feedback. In some examples, such haptic feedback can constitute giving the user a sensation that the user’s finger is moving over a ridge, bump or valley feature on an otherwise smooth surface. This type of sensation can simulate the feeling of the user rotating a mechanical knob against the teeth of an internal gear. Haptic feedback as described in this patent filing can give the user feedback about the effect of the user’s input on the electronic device, such as changing the zoom-scale of content displayed on the device in response to the user’s rotary input. Apple’s patent envisions the Digital Crown working across the iPhone, iPad, iPod and the Apple Watch.